Nevada’s Most Buzzworthy Easter Candy! 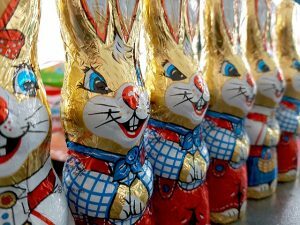 It may be hard to believe, but its true; somebody actually set out to scientifically determine which Easter candy is the most “buzzed about” in each state. 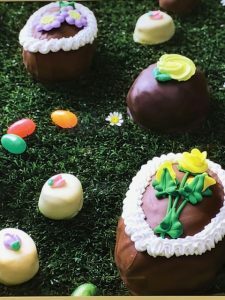 By “somebody” I mean Influenster, and by “scientifically” I mean they analyzed more than 17,000 organic, user-generated reviews about Easter-themed chocolates and candies. That’s some fancy jargon, considering the fact that we are talking about chocolate eggs, hatched by basket toting bunnies. 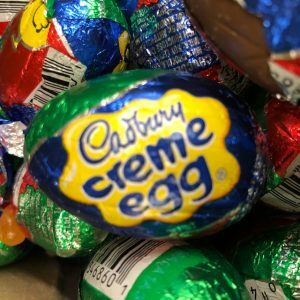 Here in Nevada, along with eight other states, the classic Cadbury Cream Egg was the sweetest treat to enjoy on Easter. 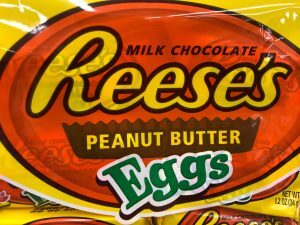 The honor of the most buzzed about Easter candy went to Reese’s Peanut Butter Eggs, not surprisingly. No Easter Basket is complete without them. Second place is a tie between Cadbury Milk Chocolate Mini Eggs, and the candy that has always made me question its edibility, Peeps Marshmallow Chicks. 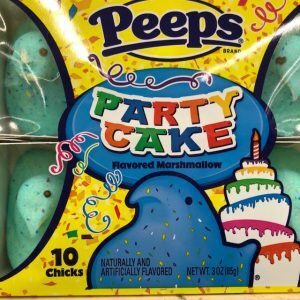 Which by the way, have you seen the new flavor… Party Cake! Shut the front door and get outta my way Easter Bunny! Well, regardless of what Influenster, or anybody has to say about Easter treats, nothing and I mean NOTHING, will ever be as good as the See’s Easter Baskets my Mama aka the Easter Bunny used to surprise my sister and me with. HOW MANY EASTER BASKETS CAN YOU FILL WITH $1000?